If you’re heading to Southeast Asia, don’t miss the chance to explore the mighty Mekong, a river spanning 2,700 miles from the Tibetan Plateau, through China, Myanmar, Laos, Cambodia and Vietnam. Watch the landscapes chop and change as vast limestone karsts rise above and calm tributaries spread beyond; spot pagodas balanced on the banks; and stop off to meet the villagers that call this body of water home. It’s not hard to see why people fall for Luang Prabang. 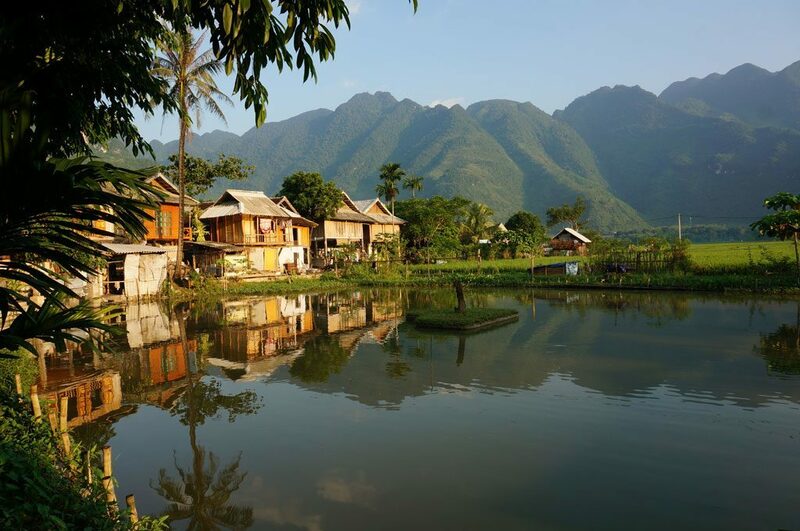 This laidback UNESCO World Heritage town is known for beautiful pagodas, orange-robed monks and lush surrounding countryside, including the crystal Kuang Si falls and looming Mount Phousi in the distance. Crossing the Mekong River is the perfect way to see a quieter, and lesser-visited, side of the town. Discover ancient temples such as Wat Chom Phet and Wat Long Khoun with their remarkably well-preserved mural paintings, and venture inland to the ethnic villages of the Khmu and Hmong people to learn about a way of life largely untouched by the modern world. 4000 Islands is made up of countless tributaries from the Mekong River that swim around small islands and islets. 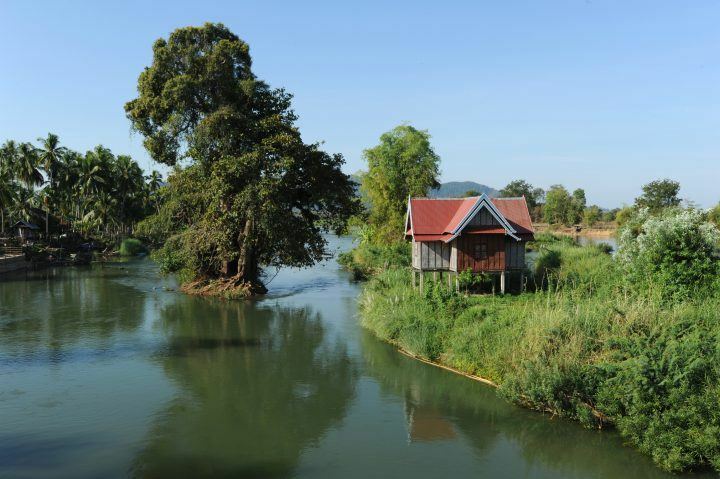 This picturesque inland archipelago is in Laos, but teeters on the border with Cambodia. Despite its namesake, there aren’t any beaches here, but the relaxing pace of life and tropical climate would give any seaside spot a run for its money. Spend days getting an insight into how locals live off the river self-sustain; travel to Wat Phou to ancient Angkorian ruins; breathe in the freshest air while visiting coffee plantations at the Bolaven Plateau; and see if you can spot that most famous of local residents: the endangered Irrawaddy dolphin. Base yourself at a resort on one of the larger islands (La Folie and River Resort are good options) and at sunset, sip something chilled while attempting to count the islets ahead (good luck!). 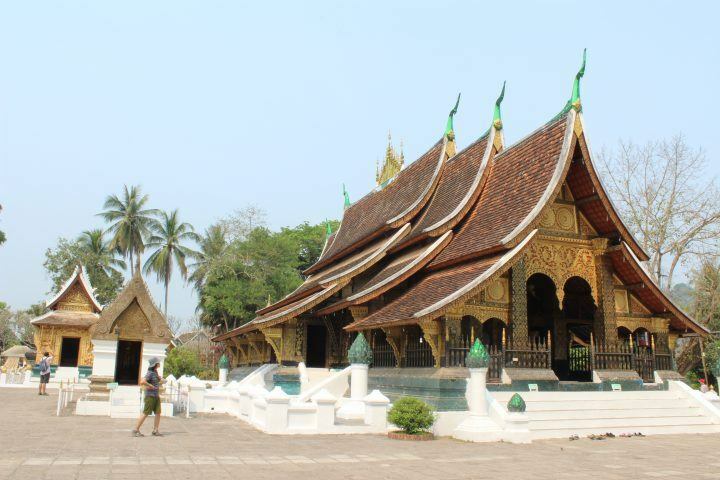 Visit Luang Prabang and the 4000 Islands on our Laos Overland: Along the Mekong Fully Tailored Journey. Start the day right with a yoga and mindfulness session at the beautiful Pha Tad Ke Botanical Garden on the banks of the Mekong River, followed by a healthy breakfast. The perfect fuel for a day exploring Luang Prabang. Get hands on with a traditional textile lesson at the Ock Pop Tok Living Craft Centre. 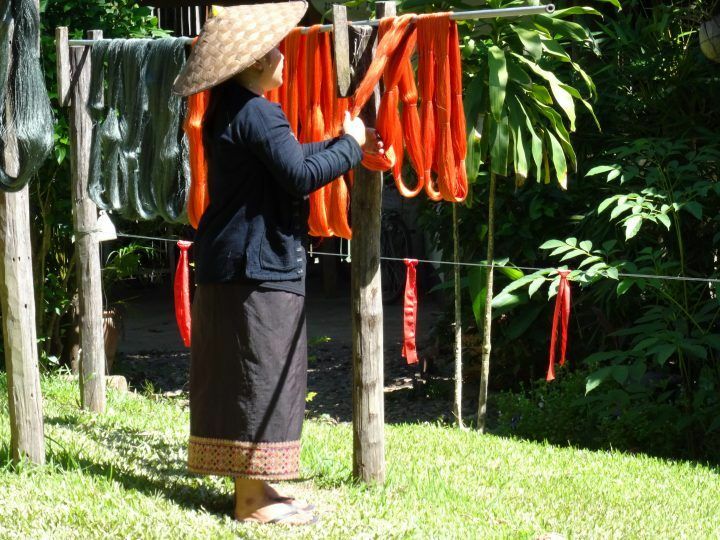 Not only will you learn about the importance of textiles in Laotian culture and try your hand at weaving and dyeing, you’ll also come home with three dyed silk skeins to take home as souvenirs. Stilted huts aren’t the only signs of Mekong residents, communities also flourish beneath the water. Head out for a serene boat ride in search of the elusive Irrawaddy dolphin, near the village of Kampi in Cambodia. Conservationists and fisherman offer these low-volume trips to highlight the importance of conservation and supplement local income. At the end of October every year, Vientiane, the capital city of Laos, holds boat races on the Mekong to celebrate the end of Buddhist lent. Locals flock to the riverbanks to cheer on their favourite sides and the streets sprint to life with games, live music and street food stalls. Short on time but big on sailing? Consider taking a Mekong River day trip on the plush Monsoon boat by Mekong Kingdoms. Spend the evening watching the sun set over this mighty river, with gourmet canapes ad cocktail in hand. Ho Chi Minh City (formerly known as Saigon) buzzes with energy. Mopeds swarm the streets, shiny high rises touch the skies and colonial architecture hints at the presence of the French. 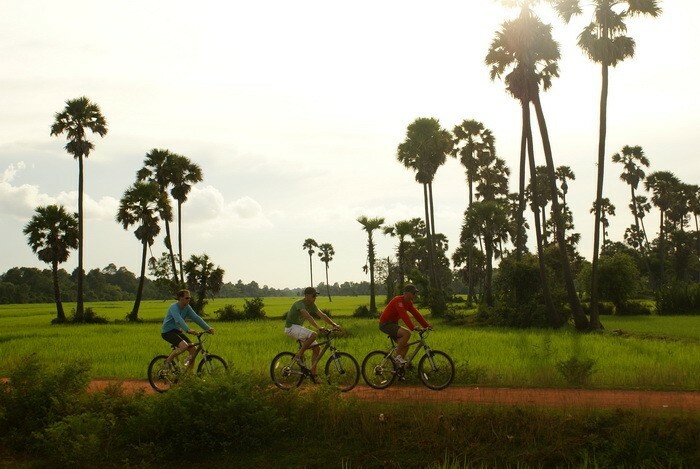 Contrast the city’s frenetic pace with a trip to the Mekong Delta. Only a two-hour drive from the city, it’s a great spot for a day trip. Wind down on a short cruise aboard Song Xanh, a converted rice barge, stopping off at floating markets and small towns along the way. Find out more about taking a private Mekong Delta cruise. Phnom Penh, at the confluence of the Mekong and Tonle Sap rivers in Cambodia, makes a great stop off on a longer trip from Vietnam. Spend a day exploring, perhaps a cyclo tour to see the surrounding countryside, and a visit to the Killing Fields and the S-12 Genocide Museum to learn about the devastating impact of the Khmer Rouge. Alternatively, if you’re based in the city, go for dinner with a difference on a sunset cruise. 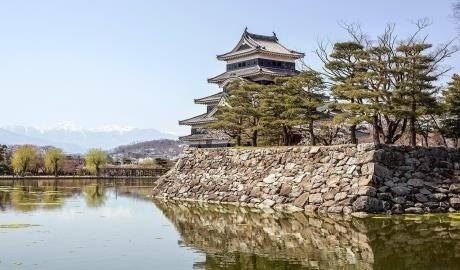 Whether you fancy an upmarket colonial teakwood liner, a traditional rice barge or somewhere on the banks with views over the water, there are plenty of places to steep soundly; these are just a few of our top picks. For a taste of French colonial style, head to the riverside area of Thakhek to stay at the lovely Le Bouton d’Or hotel. In the evening take to the large terrace restaurant to eat dinner while overlooking the river as the sun sets. Break up a journey between Luang Prabang and the Thai border at Luang Say Lodge. This example of Laotian architecture sits amidst the mountains in the small village of Pakbeng, overlooking the Mekong. This boutique hotel, near Thoi Son town, has a small collection of light and airy bedrooms and villas. As well as having a terrace restaurant and a pool, both with wonderful Mekong River views, there’s also an on-site patisserie! Kick back and observe the stunning scenery pass you by, watching daily life as it unfolds on the riverbanks, and take breaks to visit floating markets, remote villages, ancient temples and tangled jungle. Board the elegant Vat Phou, a converted teak rice barge, for a two-night blissful journey from Champasak to the 4000 Islands in Laos, stopping at the Wat Phou temple ruins and spectacular waterfalls along the way. For a longer trip, take a peaceful trip from the Mekong Delta in Vietnam to Phnom Penh and Siem Reap in Cambodia on the RV Jayavarman or Pandaw cruises. Both have an exquisite combination of French colonial and Indochinese interiors. No better (or more elegant) place to take to the balcony and watch daily life on the riverbanks. Travel on the Pandaw on the Mekong Explorer Fully Tailored Journey from Ho Chi Minh City to Siem Reap. Ready to set sail? Drop our travel experts a line – we’d love to help get the best out of your trip to Southeast Asia.